Nogaro Wheels: Will They Be “Rare” in the Near Future? 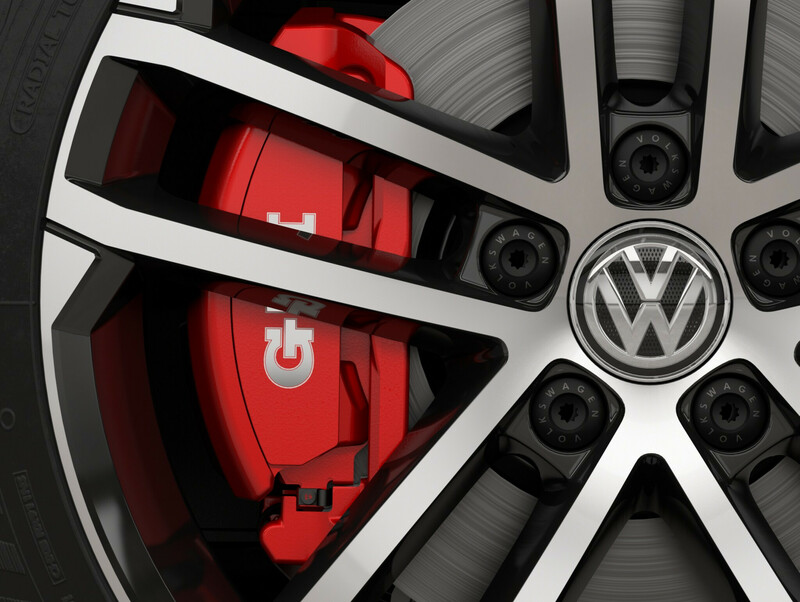 The 2017 GTI Sport came with 18-inch Nogaro wheels. I’m not sure why VW chose to equip this trim differently from the other GTIs, but the fact remains that these wheels were sold on a relatively small number of GTIs in the United States (model year 2017 only). This is not to say that the wheels are rare or “limited edition.” Volkswagen sold far too many Sports to qualify for that title. Additionally, the Nogaro was the standard wheel on the European Golf GTD from 2013 through 2016. It sold in high numbers due to the popularity of diesels in Europe. So, it’s not as if these wheels are rare worldwide. But could they be rare in America someday? 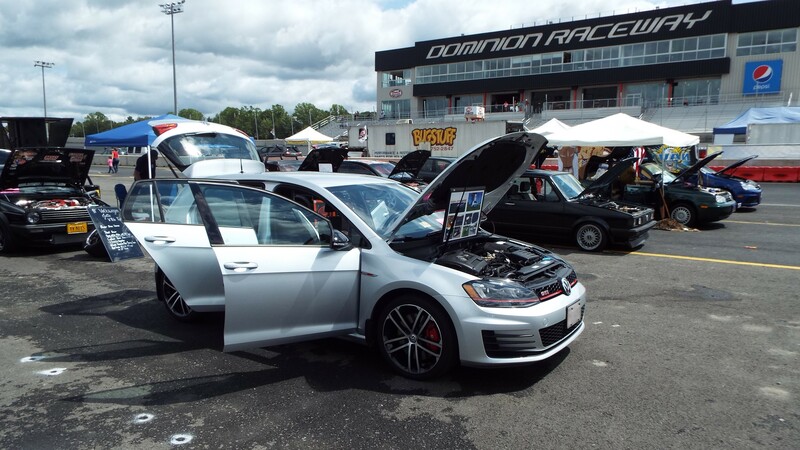 Unlike the 18-inch Austin found on nearly every GTI sold from 2013 through 2017, the Nogaro’s only American appearance was on the Sport trim during the 2017 model year. Again, this does not qualify as limited edition or rare status. However, I’m inclined to believe that these wheels remain relatively uncommon and that they may even become less common as owners “curb” them and replace them with less expensive aftermarket alternatives. I’ve shared elsewhere that I initially did not like the Nogaro, being just a little too flashy for my tastes. But they’ve grown on me, especially since I don’t see them everywhere I drive. My Reflex Silver Sport with Nogaro wheels still seems like a unicorn in my area. I like that! I see Nogaros for sale from time to time. So it’s clear that they’re not for everyone. But, when they do list, good specimens sell very quickly. As a result, I sometimes feel I may have special wheels on my hands. That’s not to say that selling a set will command top dollar. Instead, I value them because they’re far less common than the Austin. 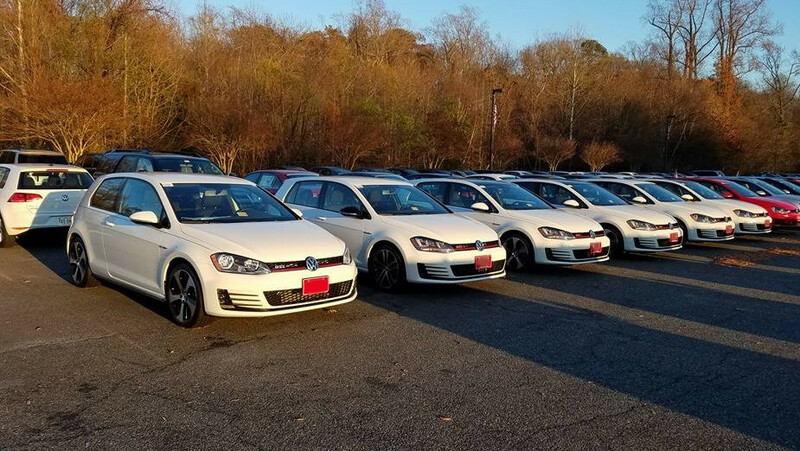 They may even be fewer in numbers than popular aftermarket wheels that often find their way onto GTIs and other VWs, too. When I chose an aftermarket wheel, I hope to find one that’s not already a favorite choice that’s everywhere. So, I ask again: Could the Nogaro become a rare wheel in the United States? Although I like mine, I still think about mounting a set of 17-inch alloys for a more comfortable highway ride. I’d store my Nogaros and mount them for car shows, where I usually enter the car in the stock class. They might even be truly rare in ten years, making them a good choice for car shows in 2027. But I’m getting ahead of myself. I have to last that long without blowing up the car or crashing it first. HAHA! What do you think? Could Nogaros be a prized American possession in the future? Share your thoughts! PS: I have a new YouTube channel and have uploaded a related Nogaro video HERE. 6 Responses to Nogaro Wheels: Will They Be “Rare” in the Near Future? Any further thoughts on going to a 17″ wheel? I’m going back and forth on this. I know I can lighten the total wheel/tire combination at least 5 lbs. per wheel compared to stock. Just not sure if I’d be able to feel that difference (as well as the 1/2″ taller sidewalls) in the real world. Lee – I’ve considered many variables when switching to a 17-inch wheel. The extra sidewall WILL improve comfort, even if only a little. It will also afford improved protection from pothole damage. Some swear that saving five pounds of rotating weight per corner makes a huge difference. But this has been tested on many tracks, with the improvements being negligible. It may “feel” faster, but the stopwatch doesn’t seem to indicate a huge gain. Even if it resulted in a full second of improvement on a 4-mile road course, I doubt that it would be truly noticeable on the street. Car and Driver tested different wheel sizes on a Mk7 Golf at https://www.caranddriver.com/features/effects-of-upsized-wheels-and-tires-tested. In short, the smaller wheels showed marginally better acceleration (probably because they were also narrower and lighter) while the larger wheels had better braking (more treadwidth?). C&D did not take their testing to a road course, but someone has. Thanks for the informative link and well thought our reply! 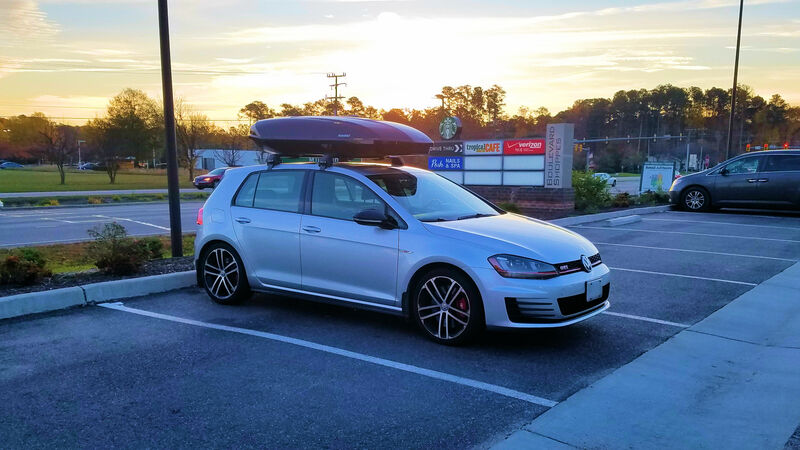 I also have the 2017 Sport GTI version in sliver so let’s hope we’re never in the same parking lot! =) It’s the most fun car I’ve owned to drive (better than a long ago 944), but after a pinch flat last year, and now a flat spot from a monster pothole, I wish even more than before to go with 17″ 45 for taller tire. So is it time to buy a pricey new wheel, or sell 3 good wheels and going -1? Aspect ratio of 40 is super-responsive, but seems a bit impractical for a road car. I would be just fine with a 50.